Perched on a plateau at 1140m, Les Carroz d’Arâches is a traditional alpine village in the heart of the Grand Massif area, just one hour from Geneva and Chamonix. It is one of the most accessible resorts in the Alps. It is a spacious, sunny, family resort with pavement cafés and interesting little shops centred around a main square. The traditional village of Les Carroz has a pleasant ‘lived-in’ feel and animated atmosphere. 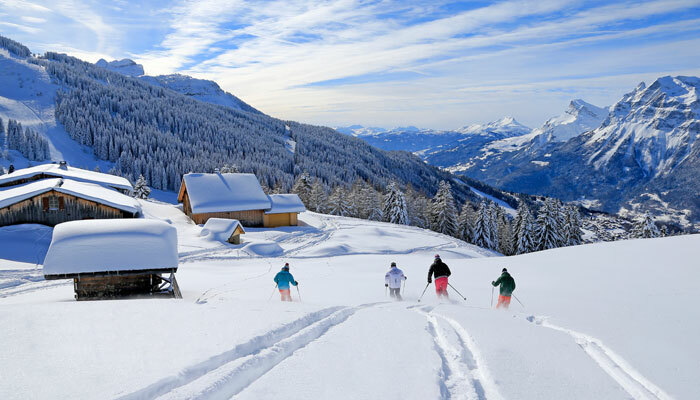 Les Carroz has been popular with French families since the mid 1930s and holds the ‘Famille Plus Montagne’ label for its superb children facilities. 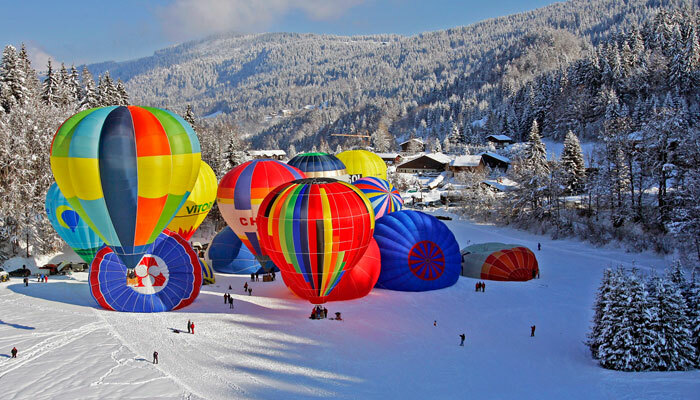 Non skiers have plenty to do – try an Air balloon flight, a night time luge, dog sledding, indoor tennis, ice skating, snowshoe outings. The resort is linked to the huge Grand Massif (Samoëns, Morillon, Sixt and Flaine) and provides extensive skiing for all levels and no queues. The gondola and chair lift go straight up to the Grand Massif area, but there is a 300m walk up from the centre (the nursery drag is a help). Back from Flaine, the runs to Les Carroz are short but offer a wide variety of trails, including more difficult sections at the top of the red runs and some good off-piste.There is ample parking by the gondola departure. The ski school’s torch-lit descent is not to be missed – it starts off with fireworks and ends with vin chaud and live jazz in the square. 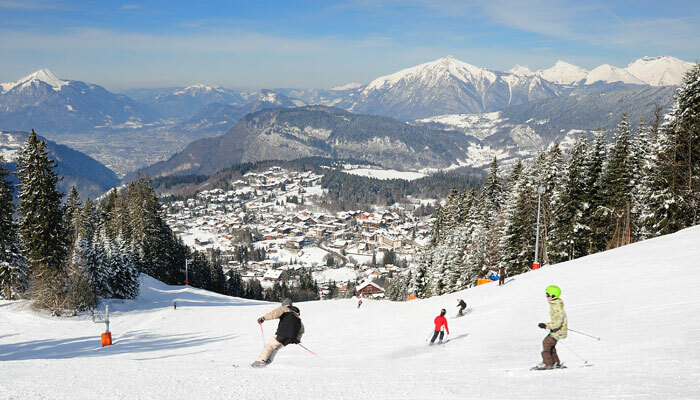 Beginners will find nursery slopes and free drag-lifts in Les Carroz village to practice on. There’s the green Mollachets run at the top of the Kédeuse gondola, and lots of blue runs to progress on. A covered magic carpet at the beginners’ area at top of the Kédeuse gondola makes it easy for the children. Intermediates will find a variety of runs to improve and progress on with plenty of blue and red runs to choose from and quite a few are tree-lined. The Grand Massif itself has extensive intermediate slopes with big lift networks. Col de Pierre Caree – 12km toward Flaine: 18km, Agy – 10km towards Araches: 8 trails 35km.